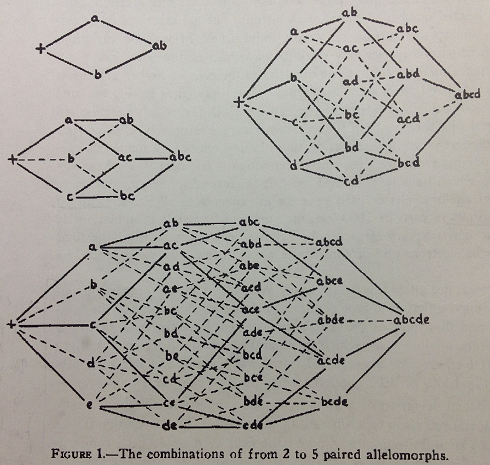 A figure from Wright’s 1932 paper introducing fitness landscapes. I am surprised at how modern it looks. As Jacob Scott pointed out, everybody — theorist or experimentalist — “has a logical construct (a model) in his or her head” when studying anything. This model might be mathematically explicit or implicit in the mind, but it is there and if the world is mechanistic (or if we only want to consider mechanistic theories of the world) then so is the model. One of the goals of philosophy (as well as theoretical parts of science) is to study these implicit (or explicit) models and understand if they have any fundamental limitations or introduce biases that might be independent of the empirical world that we hope they represent. Since theoretical computer science is a natural extension of the analytic approach to philosophy, and since it is perfectly adapted for studying abstract mechanistic models, it is my hope to use computer science to enlighten our understanding of our mental models. 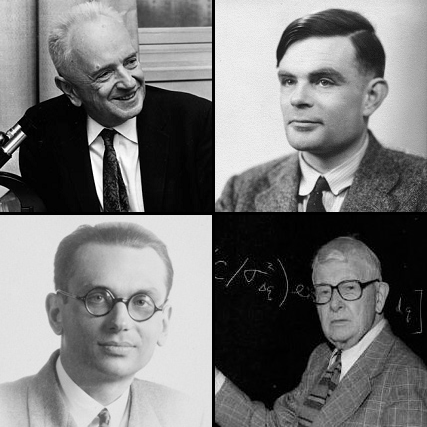 In the case of evolution, the prevalent mental (and later mathematical) model that I want to study was introduced in 1932 by Sewall Wright — the fitness landscape.